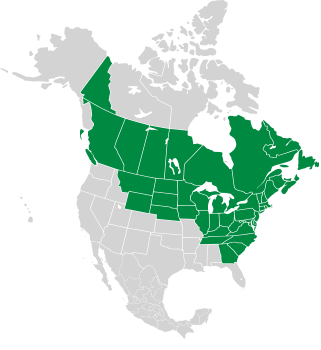 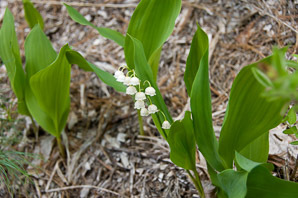 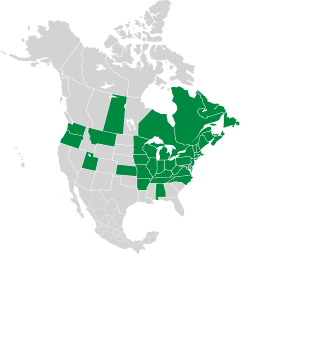 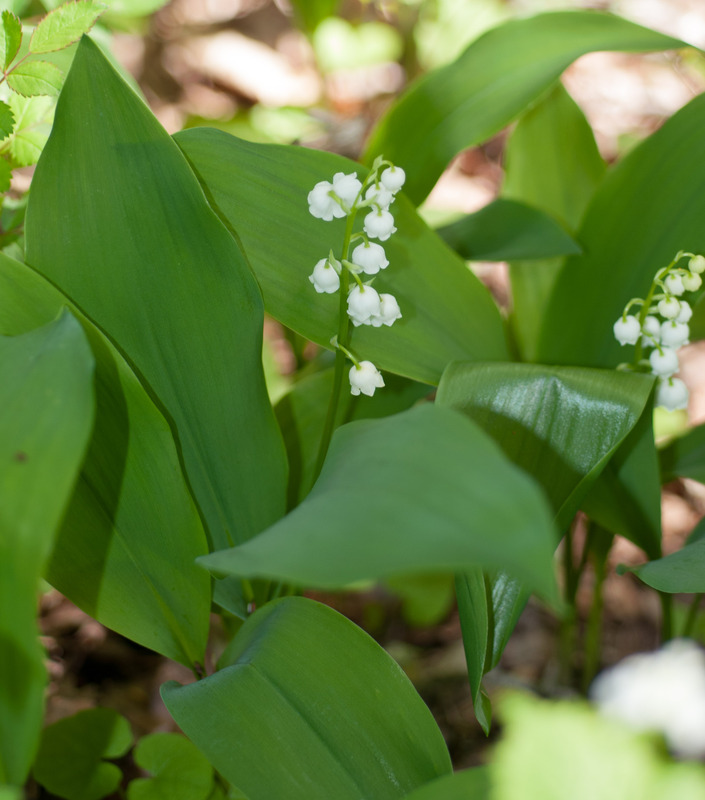 Native to temperate regions in Asia and Europe, lily-of-the-valley may also be native to the eastern United States, though it may also have been introduced there. They are not true lilies, and are in a class by themselves. There is something almost magical in delicate appearance of the small, bell-shaped flowers. 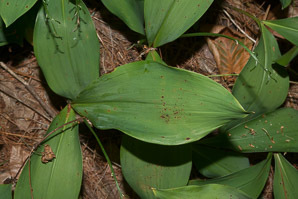 They spread into clonal colonies via their root systems. 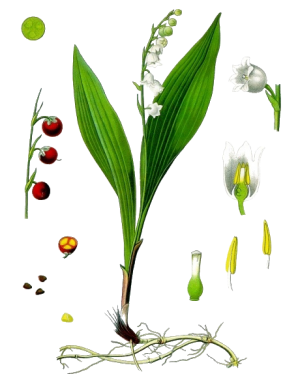 Identification: Plants grow to 6-12" (15-30 cm) in height, consisting of one or two long, narrow leaves about 4-10" (10-25 cm) in length. 5-15 white, bell-shaped nodding flowers hang along the upper length of the flowering stalk. 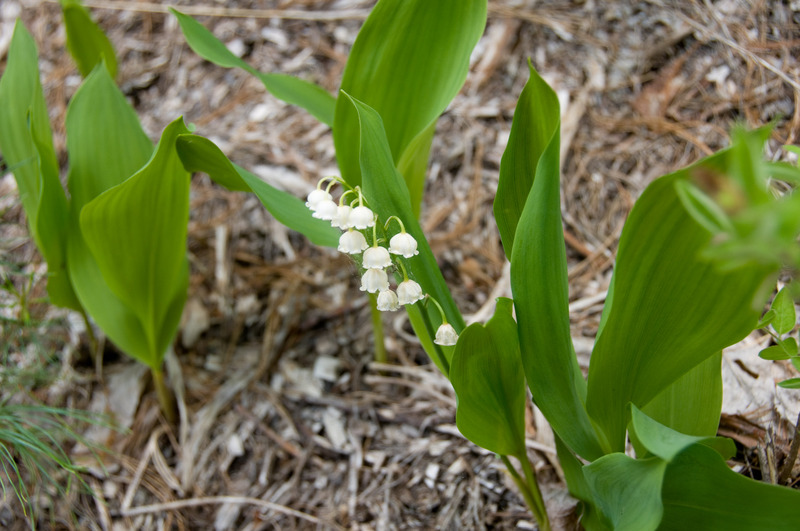 Each flower looks like a small bonnet. 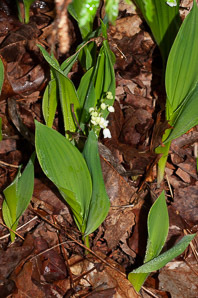 They are usually white, and sometimes pink. 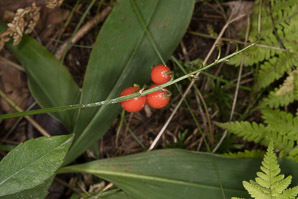 Berries are orange-red, ⅛-¼" (5-7 mm) in diameter. 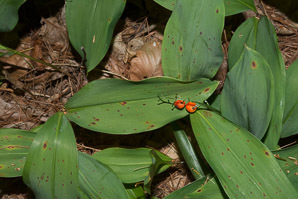 They prefer the partial shade of forest floors in temperate regions. 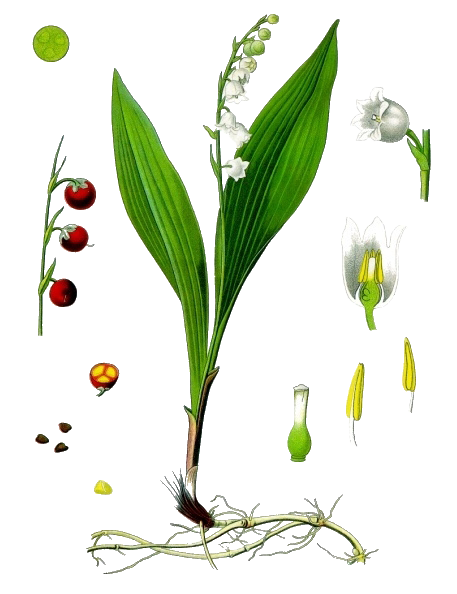 From Köhler, Franz Eugen, Medizinal-Pflantzen, Gera-Untermhaus, FE Köhler, 1887. 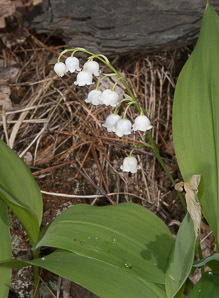 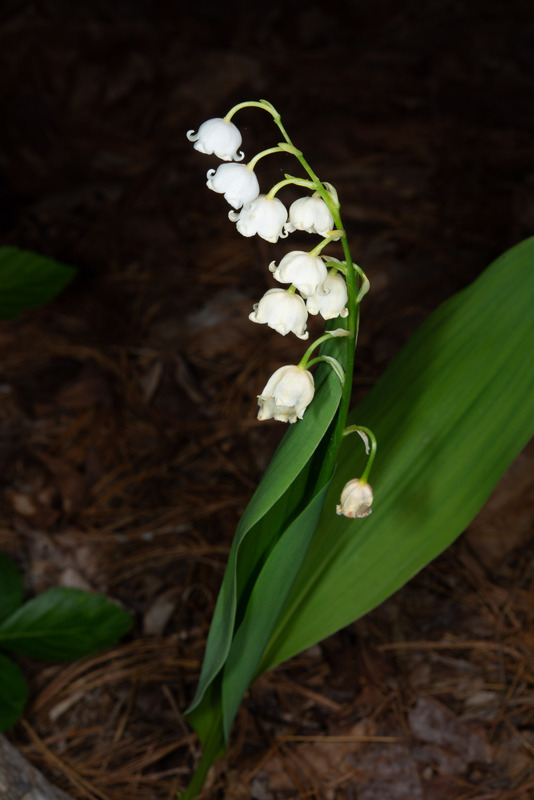 5-15 white, bell-shaped flowers hanging along the length of the flowering stalk. 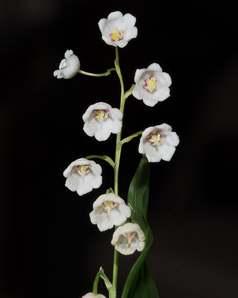 Flowers are usually white, rarely pink. 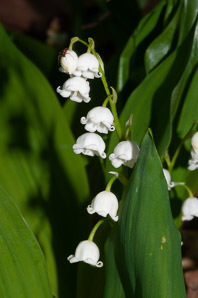 Flowers are less than ¼" (6.3 mm), with four parts, stamens seemingly sticking out in all directions, on upright stems. 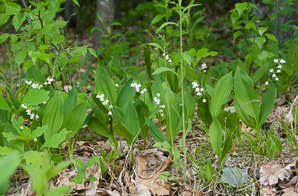 One or two long, narrow leaves about 4-10" (10-25 cm), with tapering, sharp tips and parallel veins. One to three leaves, heart-shaped, 2-5" (5-12 cm) long × 1-2" (2.5-5 cm) wide. 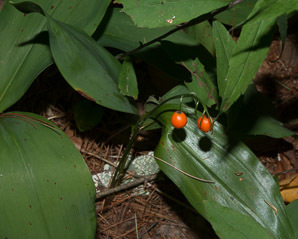 Fruit Berries are orange-red, ⅛-¼" (5-7 mm) in diameter. 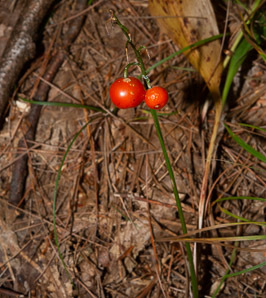 Note young fruits (left) and mature fruits. 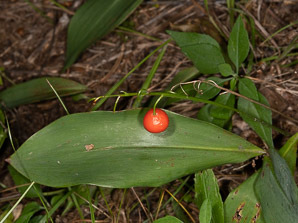 Green or bronze at first, with dark red or brown spots, about ¹/₁₆-³/₁₆" (3-5 mm) in diameter, becoming soft and dull red. 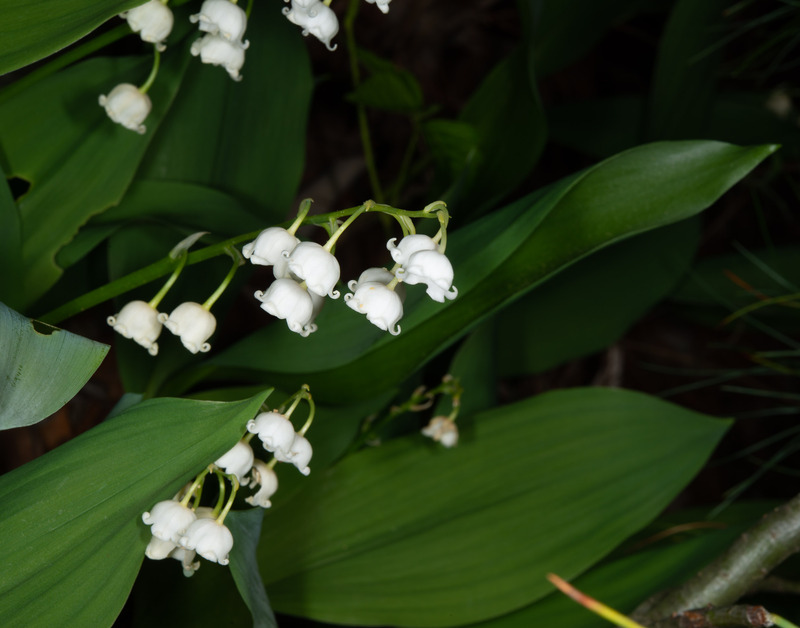 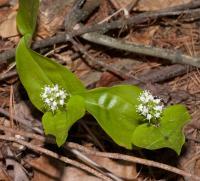 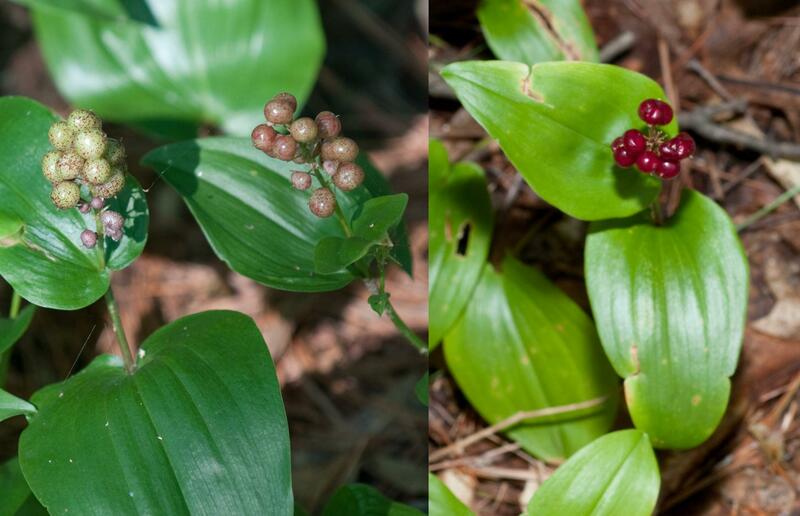 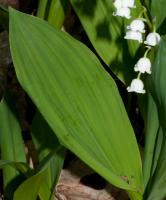 Edibility: Poisonous Lily of the valley contains chemicals that interfere with heart operation. 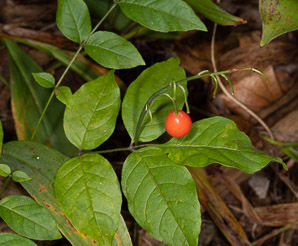 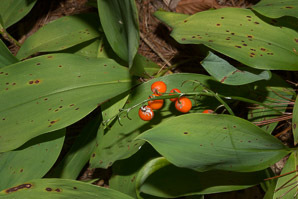 All parts of the plant are considered poisonous. 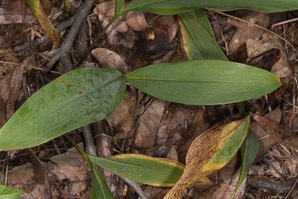 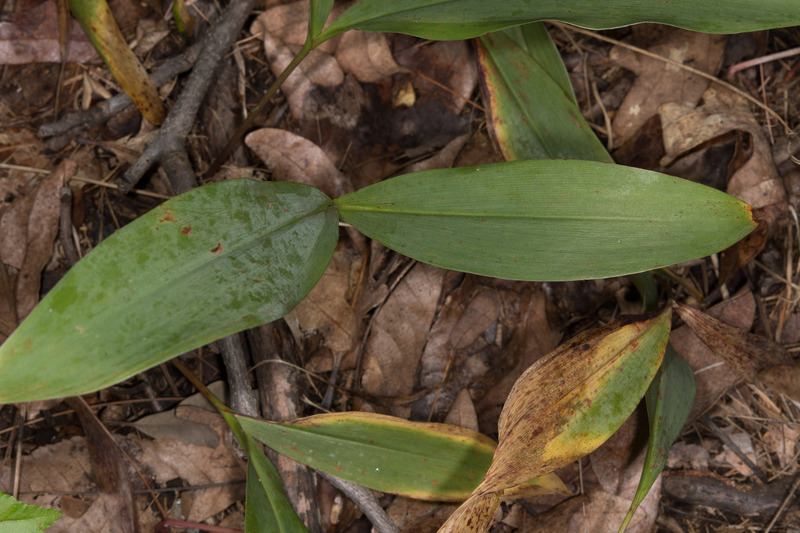 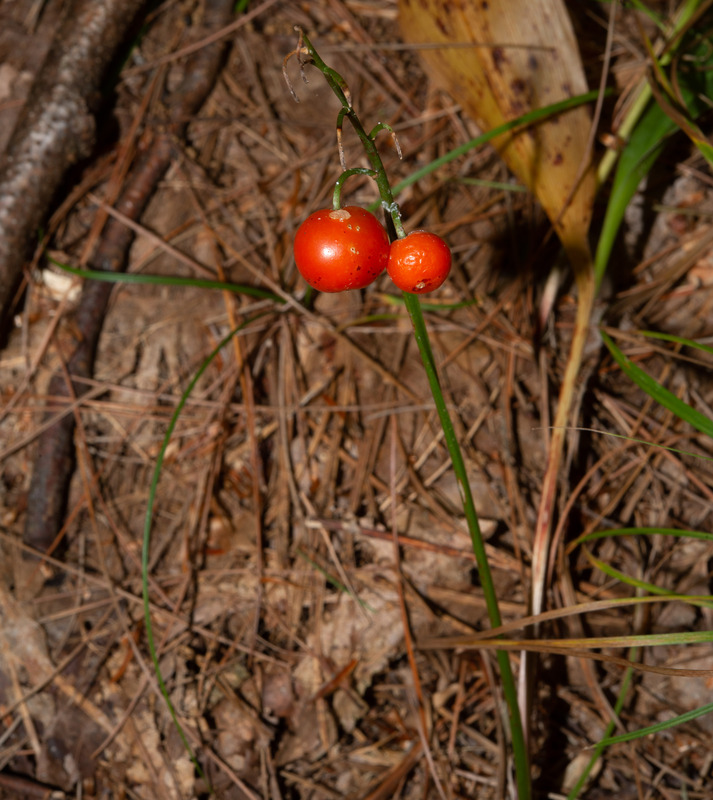 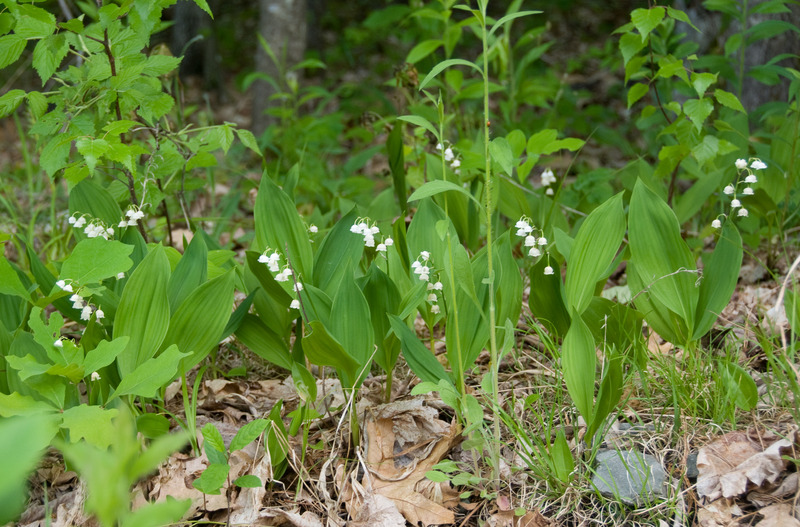 Convallaria majalis description by Thomas H. Kent, last updated 2 Jan 2019.